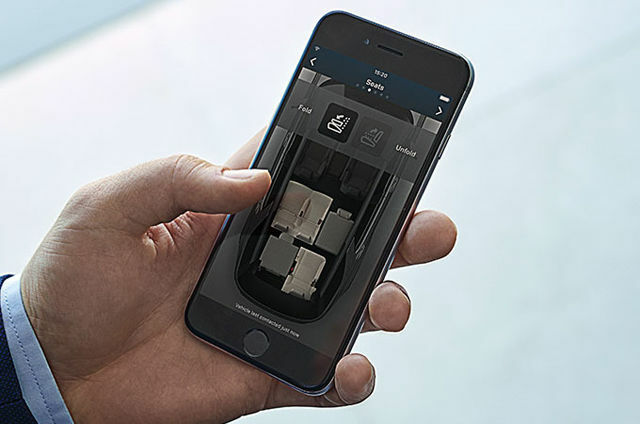 Providing the very highest level in connectivity and convenience, Connect Pro features and services include InControl Apps, Remote Premium and Pro Services and Wi-Fi Hotspot. 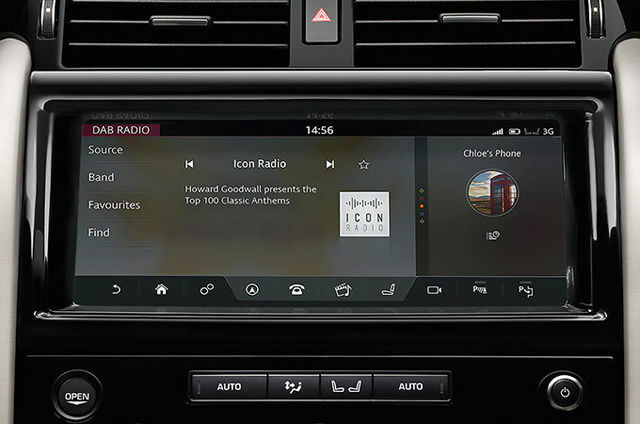 As part of Connect Pro, Pro Services and Wi-Fi Hotspot and a number of connected navigation features including real time traffic information, live parking availability including prices (where available) and street level images. 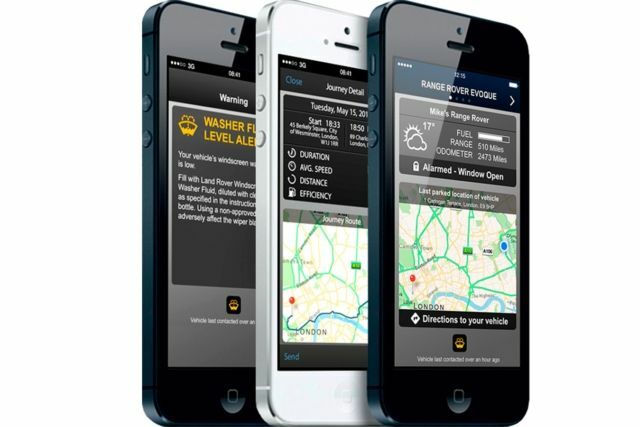 With the Route Planner smartphone app, you can send destinations straight from your phone to the car, and also access pedestrian or public transport directions to your destination once you’ve parked. 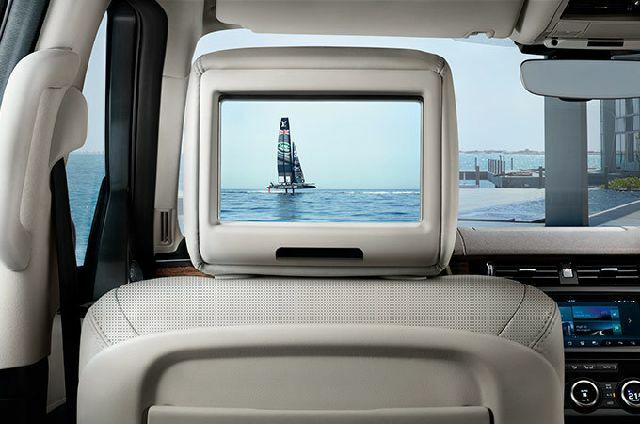 Optional on HSE and HSE Luxury models, the Rear Seat Entertainment System features two 8” screens in the headrests and can play movies and TV channels including digital. 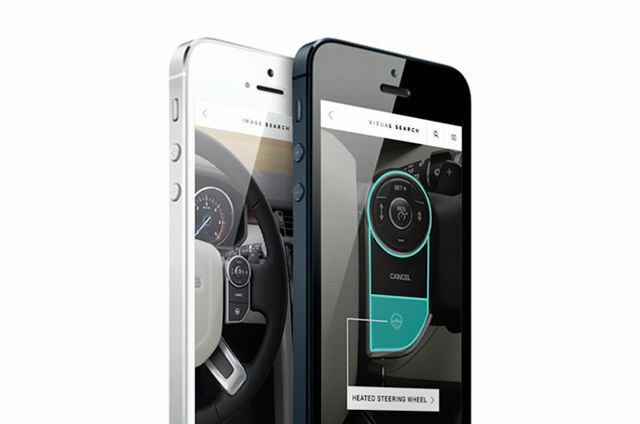 Each screen is controlled independently. The two USB 3.0 ports, one HDMI and Mobile High-Definition Link that supports most smartphones, tablets or other devices. Two sets of WhiteFire®* connected headphones and wireless remote are also provided. 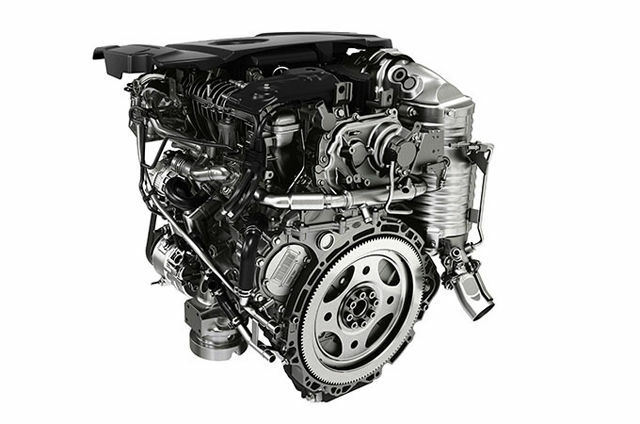 Ingenium is our breed of engine designed for effortless performance, refinement and efficiency and includes the new Si4 300PS Ingenium Petrol engine. 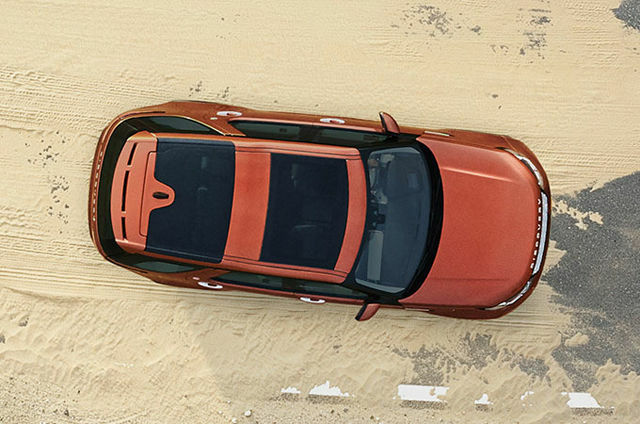 The Td4 Ingenium engine features a single turbocharger with variable nozzle turbine and a high-efficiency water-cooled intercooler for superior engine responses. The Sd4 240PS high output Ingenium engine delivers an ideal combination of class-leading performance and superior low speed driveability. 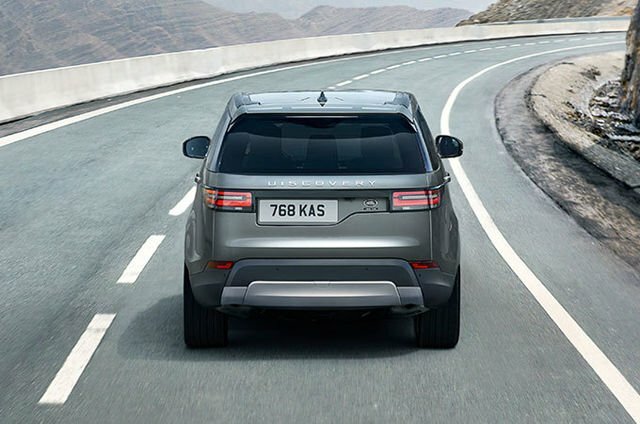 Our unique Terrain Response systems enable the driver to optimise the vehicle’s engine, gearbox, centre differential and chassis systems to match the demands of the terrain, by selecting one of the easily identifiable driving modes. 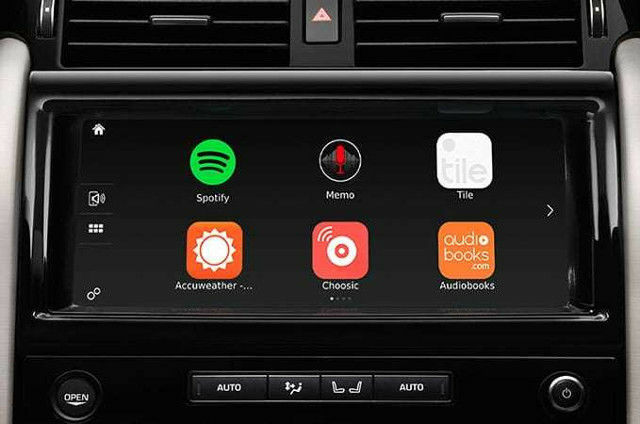 The optional Terrain Response 2* system enhances this by monitoring driving conditions and automatically selecting the correct driving modes. 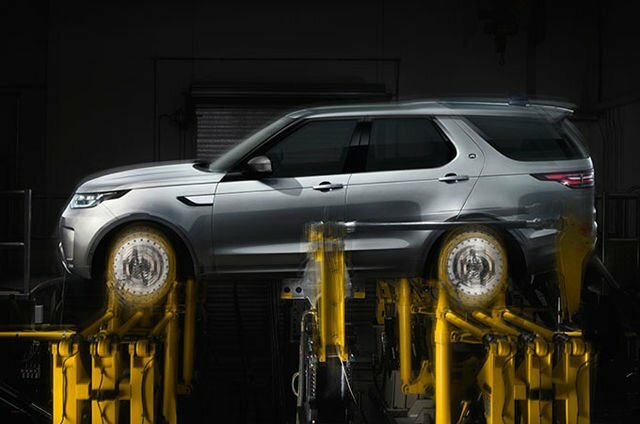 With additional set of lower gears, this system gives you precise speed and control in the most demanding of instances. 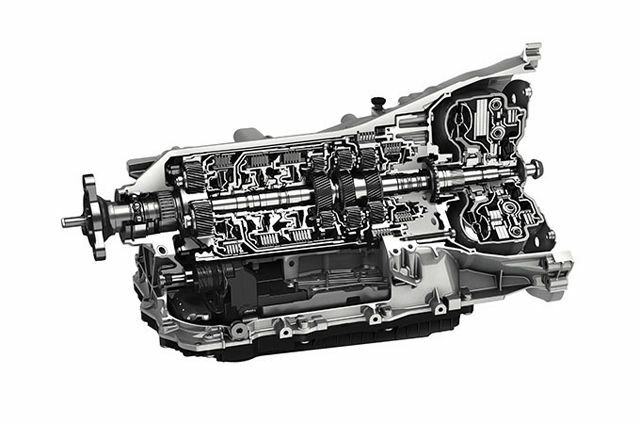 The heart of the twin-speed transfer gearbox is the electronic centre differential that offers a 50:50 torque split between front and rear axles with the ability to pre-emptively lock the axles before slip commences. 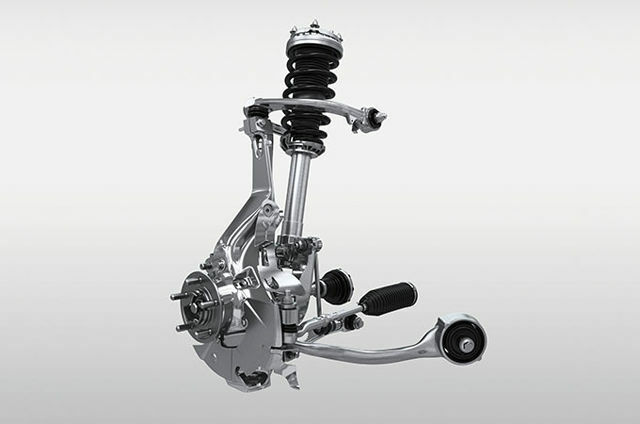 * *Available as a combined option on SD4 engines with air suspension and standard with TD6 and Si6 engines. 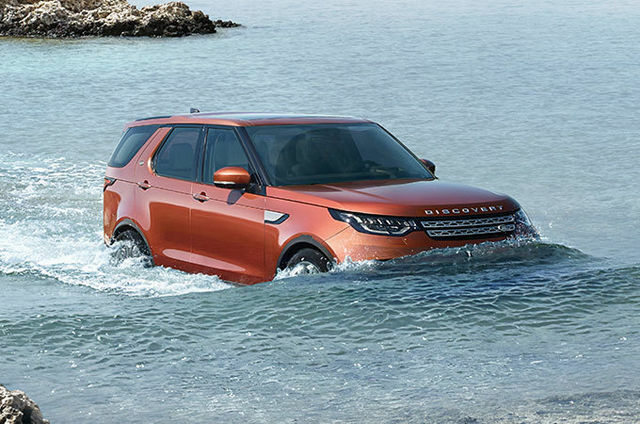 With a towing capacity of up to 3,500kg*, Discovery’s capabilities are significantly higher than others. 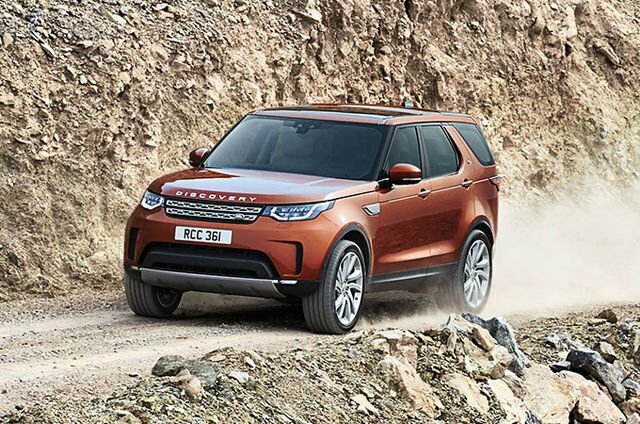 Available features include an electrically deployable tow bar, hitch and load assist and a nose load measurement system that helps take towing to a new level. 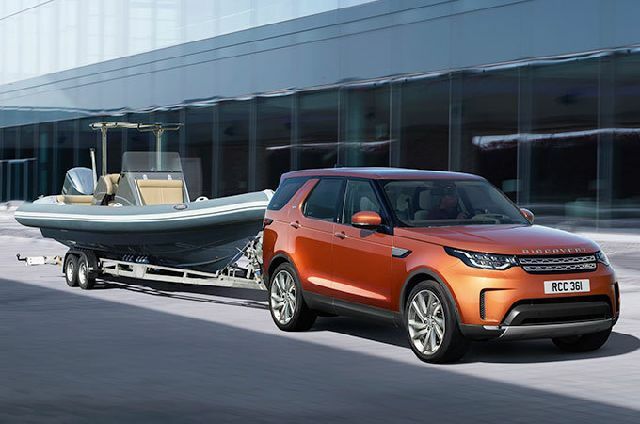 *Towing capacity varies by market. Please ensure you comply with relevant legislation in your country. 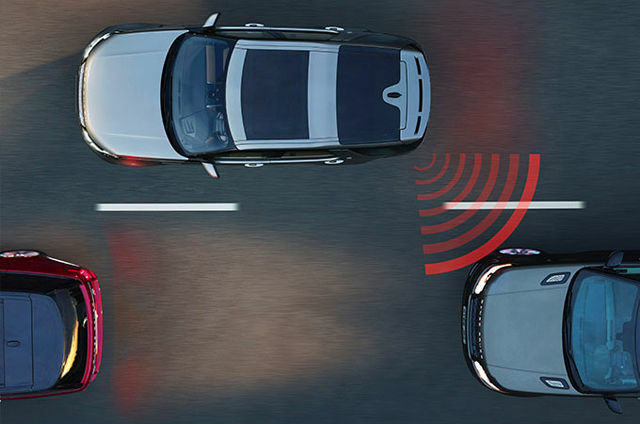 When you’re cruising on the motorway or travelling in slow-moving traffic, this system will keep your vehicle a safe distance from the one in front should it slow or stop, without the need to use the pedals. 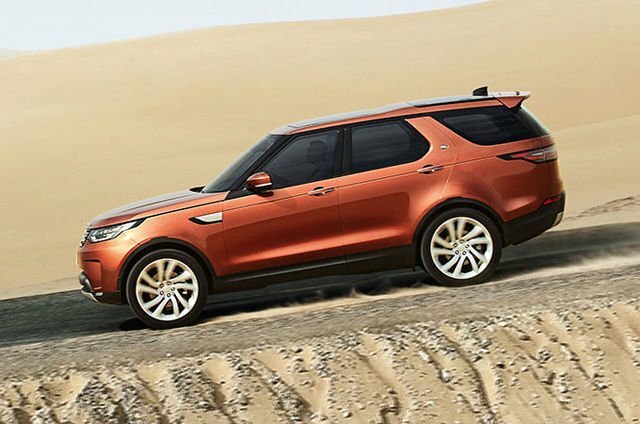 When the vehicle speeds up again so does Discovery. 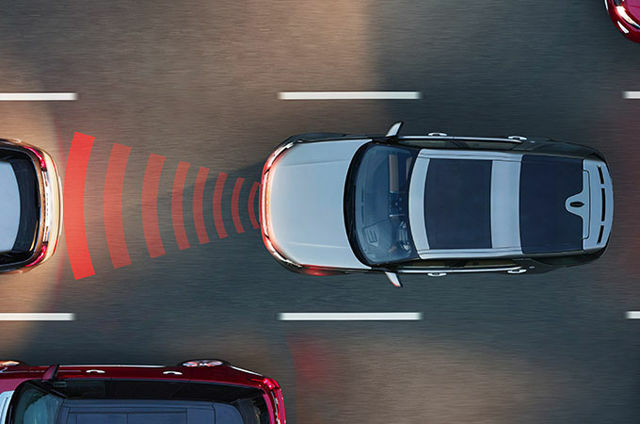 If a potential collision is detected between speeds of 5kph and 80kph, the Autonomous Emergency Braking system displays a forward collision warning, giving you time to take action. 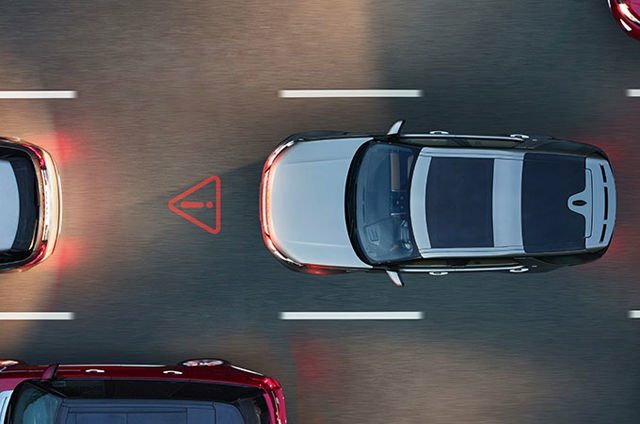 If a collision is still anticipated and you have taken no action, the system will apply the brakes to help reduce the severity of the possible impact. 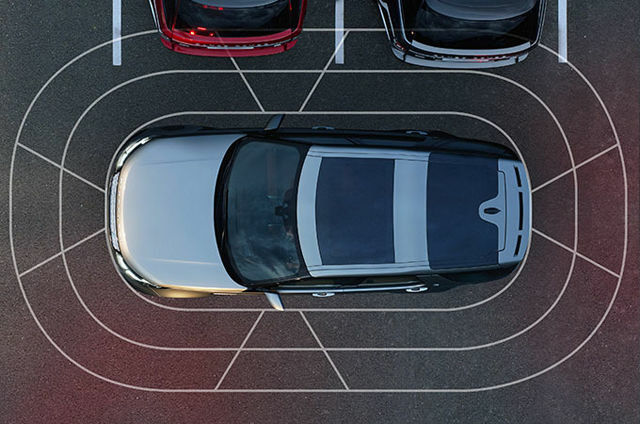 This system makes parallel and perpendicular parking easier than ever by steering your vehicle into a suitable space. 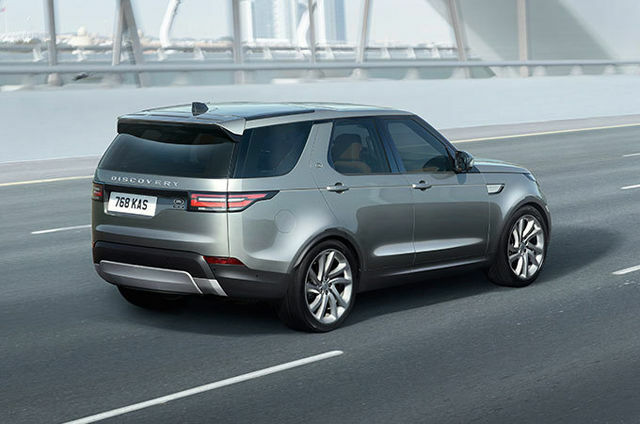 Just select the appropriate gear and control the vehicle’s speed, brake and accelerator pedals. 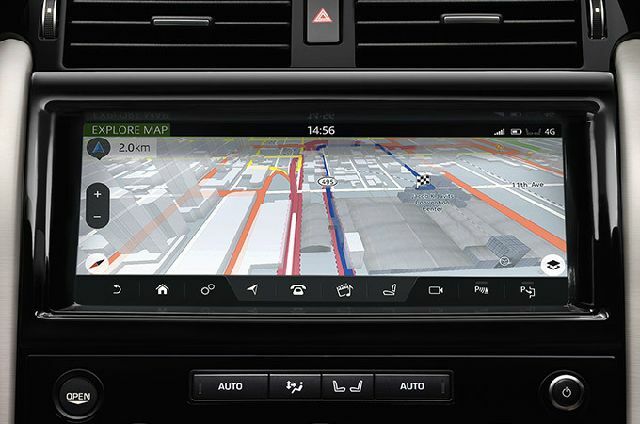 Park Assist will also steer you out of a space, taking all of the stress out of parking through on-screen guidance. 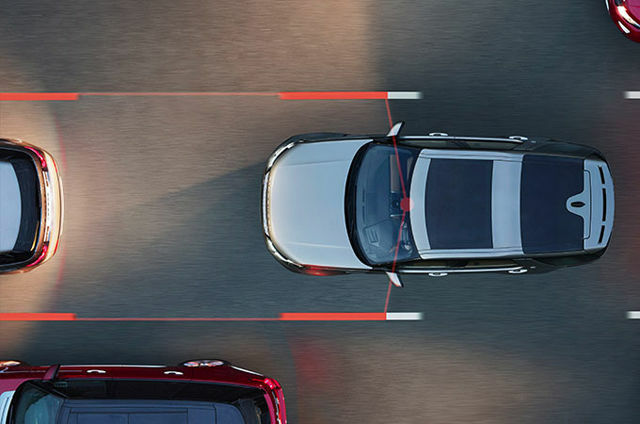 If your vehicle detects another car in your blind spot when you begin to change lanes, Blind Spot Assist applies an appropriate amount of steering torque that helps to prevent the driver from steering into the approaching vehicle. 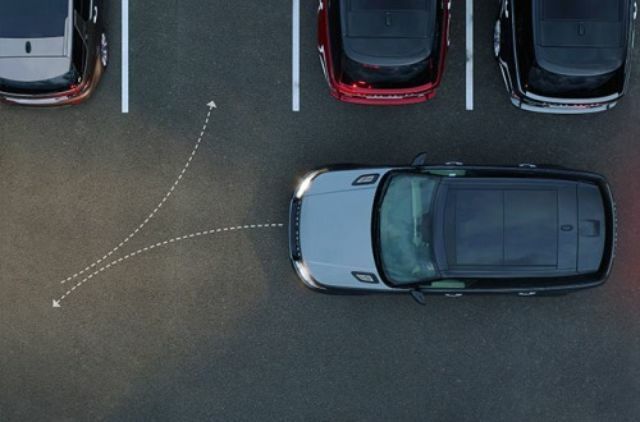 Using the same technology, Reverse Traffic Detection warns you of vehicles, pedestrians or other hazards approaching from either side of your vehicle while reversing. 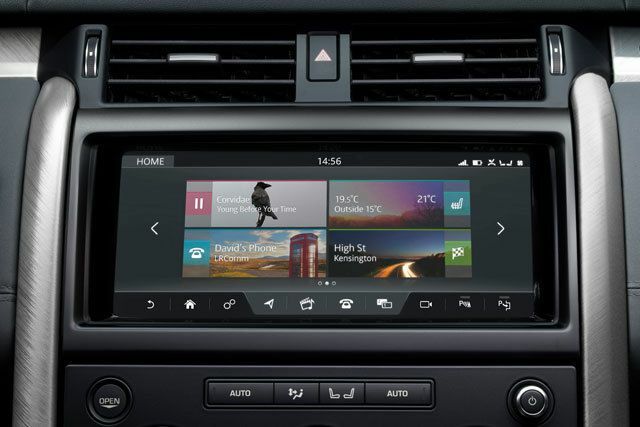 Providing a 360° exterior view via the Touchscreen, this helps with various manoeuvres from parking by a kerb, to getting in and out of tight spaces and junctions with greater ease. You’ll feel more confident negotiating even the trickiest of spaces and situations. 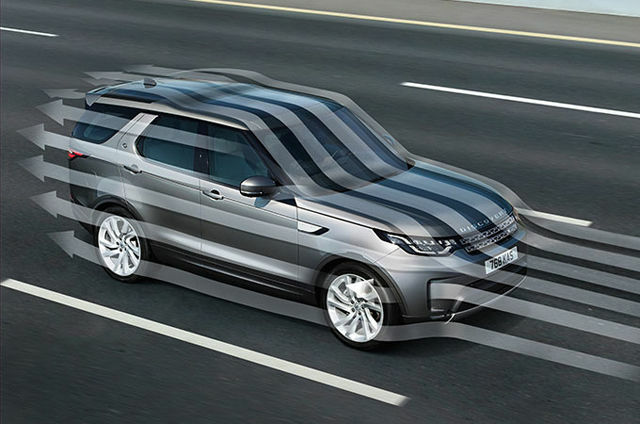 Powered gesture tailgate allows you to operate the tailgate ‘hands-free’ outside the vehicle without needing to physically touch your vehicle or the smart key. 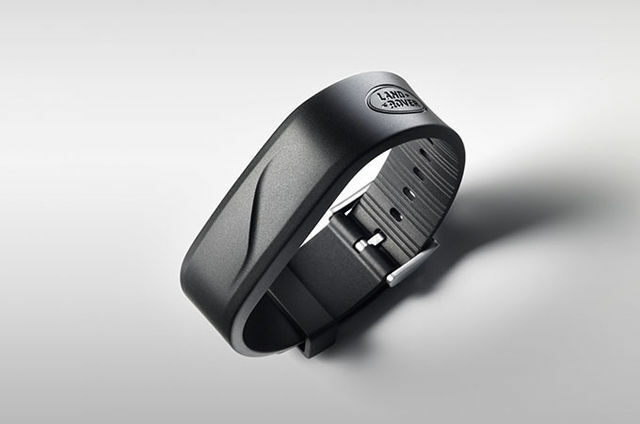 When the smart key is detected, the feature can be operated by a kicking gesture underneath the vehicle using sensors located on either side of the tailgate. 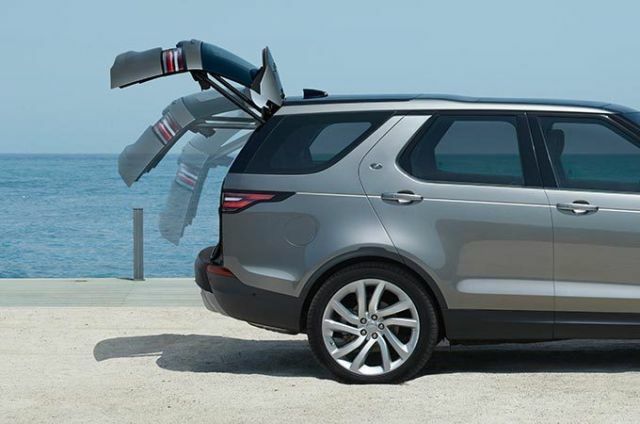 A powered inner tailgate is also available, which acts as a seating or loading platform, or an upright luggage retainer.